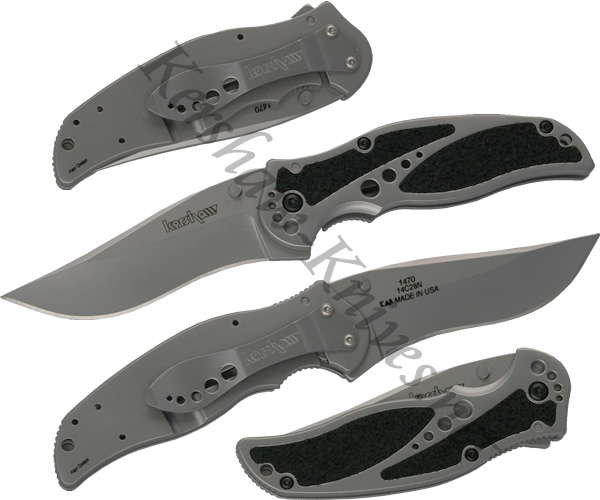 This Kershaw Storm knife has a three inch blade made of Sandvik 13C26 stainless steel. This Kershaw 1470 model features a fine edge version of the blade. You will find the handle has great gripping power because of its contoured shape and textured inserts. The Kershaw Storm is very easy to open thanks to its large thumbstuds that have been milled to comfortable fit your thumb. A frame lock holds and releases the blade.